1. Listen to your inner self. Write down your longings and discontents. What are your longings? Write them down. What are your discontents? Write them down. Marry Morrissey says your longings and your discontents are messages from the universe to your authentic self. 2. Write down everything you love about life. 3. Write down your goals that you can think of right now. 4. Decide which goals, longings and discontents give you the strongest feeling inside. Think of pride, desire, love, confidence, passion, drive. I help people find purpose. I bring health into people’s lives. 6. Do something that activates your mind and actions so you can learn more about your passion and purpose and become an expert over time. Go to school or get some work experience in a field that aligns with your purpose. Start right now, no matter your age. It will be fulfilling and rewarding to your authentic self and you will be rewarded in many ways over time. Start now! Enroll in some training on-line or get into a school that offers courses on the service that aligns with your purpose. Get a job, even if it’s at the bottom of the ladder, with a company where you can learn the ins and outs of the business where your purpose can be brought out in some type of service. Living your purpose means building a strong self serving in some way even if it’s being a part of a greater service. People have started out as janitors or mail room clerks and moved up to become the leaders of the company because they had a passion for the service that the company they worked in, provided. Their job, in some small way, aligned with a purpose and a desire to serve with the purpose in mind. 7. Begin now to fulfill your passions and work with your purpose using mentors and mastermind partners. Join the FindAMentor lifelong learning EPIC Mentor Network and find a mentor for free in a category that aligns with your passion. 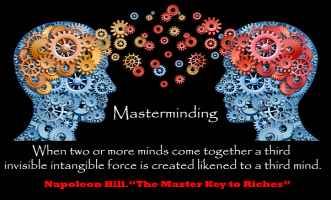 Use the FindAMentor.com unique feature to build a mastermind group in that category. Check other mentoring sites. FindAMentor.com lists many in their mentor websites and resources page. You might want to watch our FindAMentor, free for members, People Tune Up life coaching video series to get you pointed in the right direction for your thought and emotional processing.